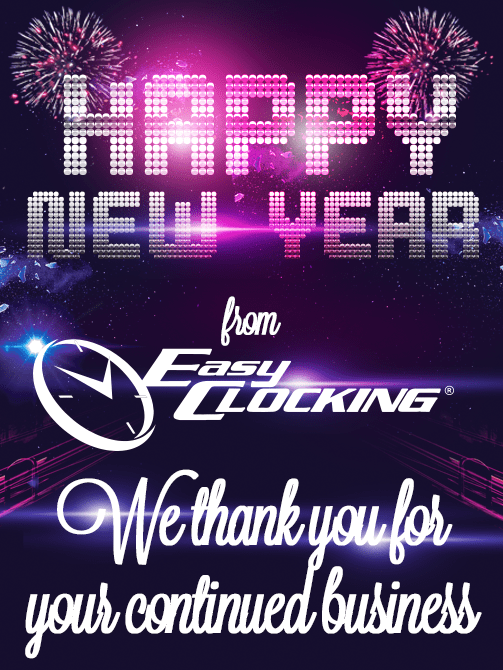 Happy New Year everyone and welcome to the Easy Clocking Blog!! (I’m blue da ba dee da ba die…) Since we are all blue here at Easy Clocking. Blue is our company color and we invite you to get blue with Easy Clocking! Easy Clocking is a provider of time and attendance solutions for 50,000 companies worldwide and counting! We are based out of Miami, directly out of the Sunshine State (Florida), where we design and manufacture all of our solutions. The Daily Post was created as a resource for our community to find industry news, company news, and upcoming events all in one spot! We have grand ambitions for this blog. We at Easy Clocking plan on sharing articles related to management, leadership, and anything related to business or popular events. Please feel free to leave us comments as we love feedback! You can reach out to our company directly at marketing@easyclocking.com for any questions you may have.